A local law has been proposed to ban the use of conversion therapy – a controversial treatment that aims to change the sexual orientation and gender identity of an individual – on minors in Ulster County. 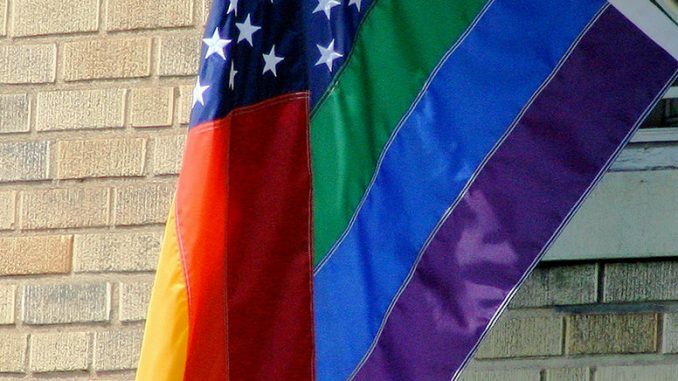 Minority Whip Jonathan Heppner proposed the law last month after he discovered that conversion therapy had not been banned in the state of New York. If the law is passed therapists practicing in the county would be banned from the use of conversion therapy, reparative therapy or any other practice that seeks to change the sexual orientation or gender identity of anyone under the age of 18. Conversion therapy practices use of psychological or spiritual intervention in an attempt to change an individual’s sexual orientation from homosexual or bisexual to heterosexual. Jake Salt, program director at Hudson Valley LGBTQ Center in Kingston, said that it should be completely illegal to enforce “backwards, outdated and dangerous beliefs” on LGBTQIA+ youth. Salt said that conversion therapy ranges from talk therapy, which he said is essentially shaming by a professional, to things like induced nausea and practices that involve physical pain. He added that the impact of such treatment can be devastating to mental health. Geher added that there are multiple biological and sociocultural factors that influence one’s gender and/or sexual identities and these determinations are sometimes made at a very early age. According to Heppner’s resolution, the practice has been discredited by “virtually every American medical, psychiatric, psychological and professional counseling organization,” including the American Academy of Child Adolescent Psychiatric, American Academy of Pediatrics and the American Medical Association. If this proposal is adopted by the state legislature, Ulster County would become only the second county outside of New York City to ban conversion therapy. In February, Erie County adopted a law banning its use. Geher thinks that creating legislation at the county level is a good, progressive step towards equality for the LGBTQIA+ community. Members of the county Legislature voted unanimously and without discussion on April 17 to set a public hearing on the proposed bill. If passed, the law would make practicing conversion therapy a misdemeanor punishable by a fine of up to $5,000 and/or one year in jail. It also would require that applicable licensing boards be notified of the crime. Nine states, including New Jersey, Connecticut, Vermont and Rhode Island, have already banned the use of conversion therapy on minors. Additionally Gov. Andrew Cuomo banned public and private healthcare insurers from covering the practice and prohibited use of the practice on minors in various mental health facilities in 2016. According to Jeff Miller, political science chair and associate professor, there are currently no laws at the state level banning this practice. In addition to Cuomo’s regulations, New York City also passed a ban on all uses of it in November of last year. A law banning conversion therapy on minors passed the state Assembly earlier this year, but it has stalled in the state Senate. Miller said that the New York State Assembly has three times voted to ban the practice (most recently in April of this year), but thus far the bill has not advanced in the New York State Senate. He added that there is currently a bill pending before the State Senate which he said if passed would likely be signed by Cuomo. According to Miller most indications are that the votes for passage are there in the Senate, but leadership refuses to bring the legislation up for a vote.